As someone who has a full drawer of skincare products - its very rare I find something that I look forward to using every single day. As a blogger, I'm very lucky to receive products to test and review on my blog but the only problem with this is that my skin never gets into a set routine - I'm always trying out something new 'for blogging purposes' and that means I never really get to see the full benefits of a product like I would if I were to use a product continuously for a good few months. However, one product that has been permanently glued to my bathroom sink for the past couple of months now is the Elemis Pro Collagen Cleansing Balm* - my skins new best friend! I've tried a few Elemis products over the years and I've always been seriously impressed with them - they work well with my sensitive skin and do exactly what they promise as well as feeling luxurious and smelling divine. Whenever I use an Elemis product I feel like I'm having a professional spa facial at home and I guess that's what I love about the brand so much! The pro collagen cleansing balm is exactly as the name states, a balm that cleanses the skin and removes makeup and daily grime quickly and effectively. It contains a blend of natural starflower, elderberry and optimega oils with rose and mimosa waxes, and anti-ageing padina pavonica to deeply cleanse, nourish and smooth. As you can see in my photos above, when this balm comes into contact with the skin, the texture of the product transforms from a balm into a silky smooth oil which glides onto the skin with ease. I've been applying it directly to my full face of makeup and massaging it around until it has lifted every scrap of makeup off my skin. 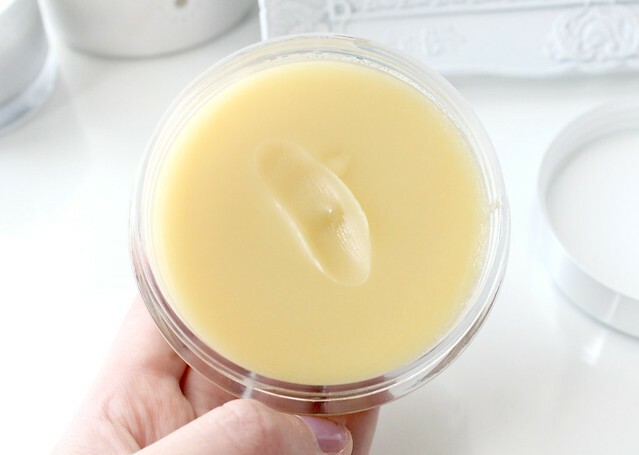 I then add a touch of warm water to loosen the balm even further, massage it a little more to really work the product into my skin and then finally I remove it with a face cloth. The whole process of using this product is exceptionally soothing as the balm feels very gentle and smooth on the skin while the scent provides a relaxing spa-like experience. After using this cleanser my skin feels exceptionally soft and hydrated as well as looking plump and radiant. Unlike cleansers I've used in the past, it doesn't make my skin feel tight or dry in the slightest and instead leaves it perfectly prepped for moisturiser and makeup. Seriously, after only one use of this product, my skin looked and felt a million times better! If I could sum this product up in one word it would have to be luxurious. It really is the most indulgent and effective cleansing product I've ever used and I thoroughly look forward to using it on my face every night (I'm currently using the Elemis tri-enzyme face wash in the morning). It makes makeup removal very straight forward and my skin feels really pampered and nourished after every use. Although its expensive at £39.50, I can't recommend this stuff enough. I've been using it for well over a month now and have barely made a dint in it (you only need a teeny amount for a full face) so I imagine it will last me a good few months with daily use. When you look at it like that, its definitely value for money! Its available to buy here with free delivery. 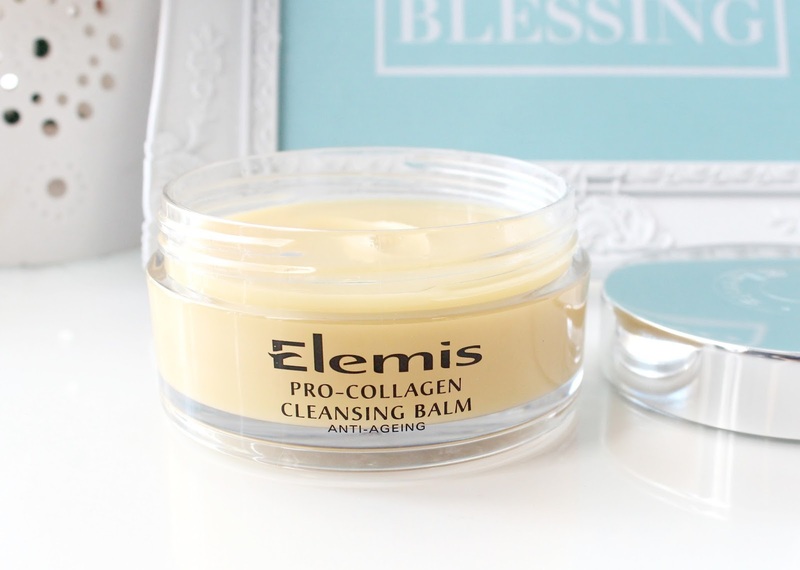 Have you tried the Elemis pro collagen cleansing balm? Does it sound like something you'd like to try? this sounds lovely, i love the clinique cleansing balm! this sounds so good, might have to try it out! 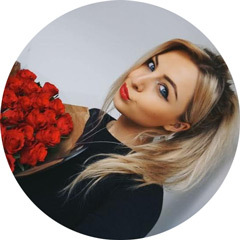 i just started a beauty blog and put up my May favourites the other day, check it out! This looks so lovely! I've always wanted to try a cleansing balm like this one. I've always been meaning to try this, I think I'd get along with it. Sounds great, I might have to try it out along with the clinique version which everyone raves about! This looks like a great product! I haven't tried anything from Elemis yet.. I have just gotten into using cleansing balms and this particular one seems incredible. I really hope I get to try it soon. 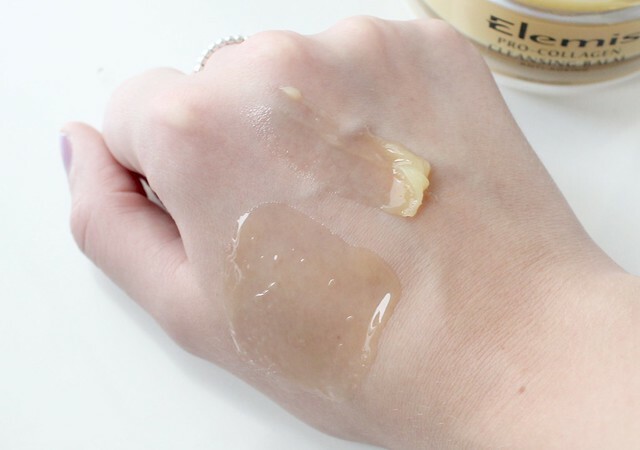 Oooh I had nearly convinced myself to splurge on the Emma Hardie cleansing balm, but after reading your review I'm torn between this one too ! It looks gorgeous, and I'm such a sucker for a nice smell haha! I have struggled with skincare over the last year but have finally found something that works for me too! I love the look of this, but it's very pricey for a cleanser. Would love to know how it compares to Clinique's Take The Day Off which I use religiously. I'm obsessed with skincare at the moment especially Elemis and I'm trying to decide atm between this and one of the other products from the Pro collagen range, but this is definitely my leading pick atm.